Broadway Eatery is more than just your neighborhood eating place! 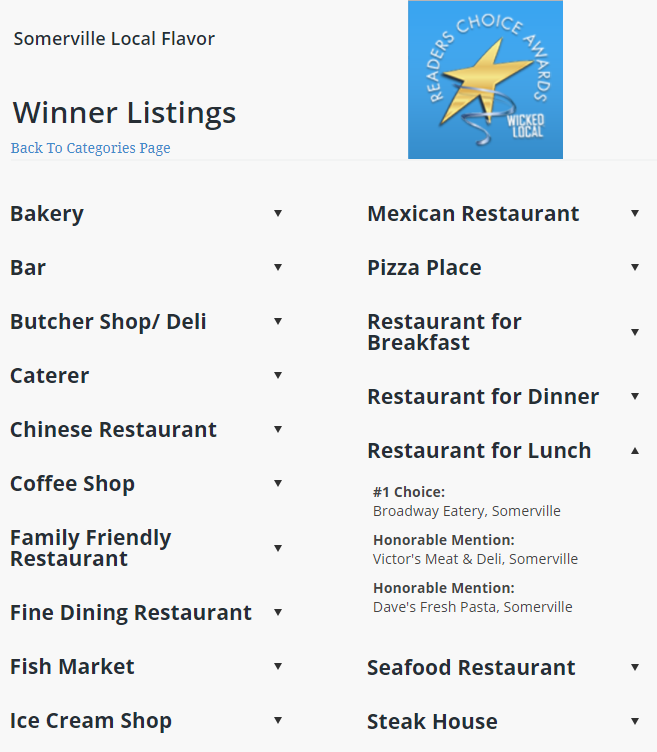 Did you know that we were rated the #1 Choice for Pizza Place, Lunch Spot, and Takeout Restaurant on Wicked Local Reader's Choice poll? 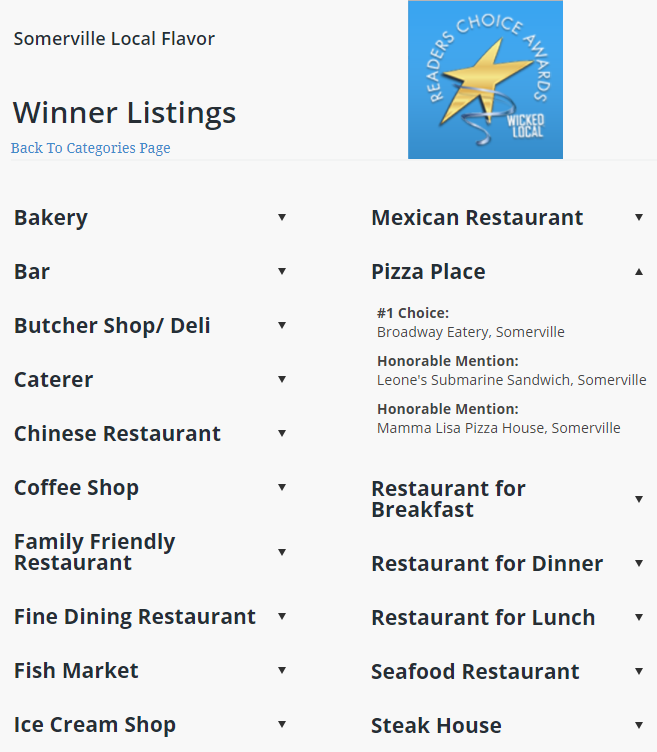 Did you know that we were rated a Nextdoor.com Neighborhood Favorite for both best pizza and best burgers! 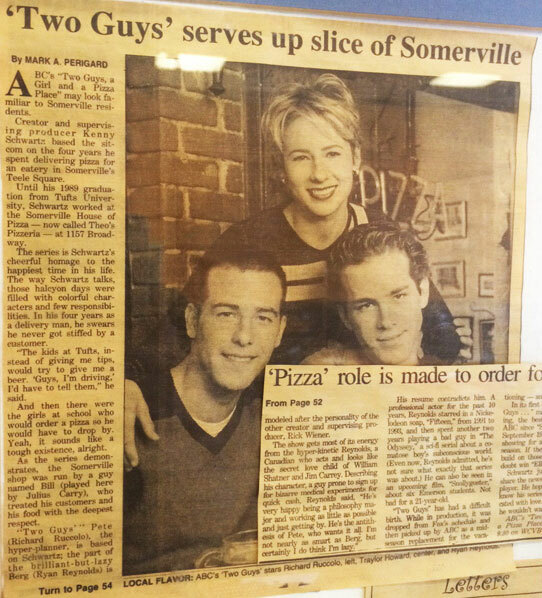 Did you know the TV show "Two Guys, a Girl, and a Pizza Place" was based on us? The creator of the show worked here when he was a student at Tufts University. He based the show on his experiences working here. 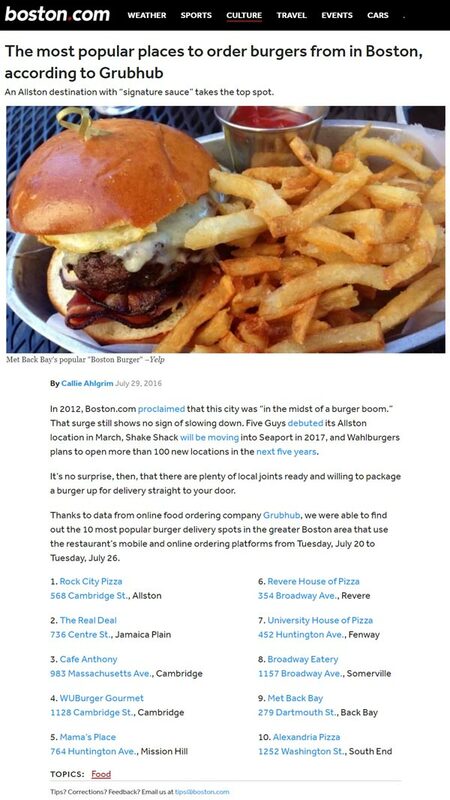 Did you know we were rated one of the Top 10 Best Places for Burgers in Boston by Grubhub users? 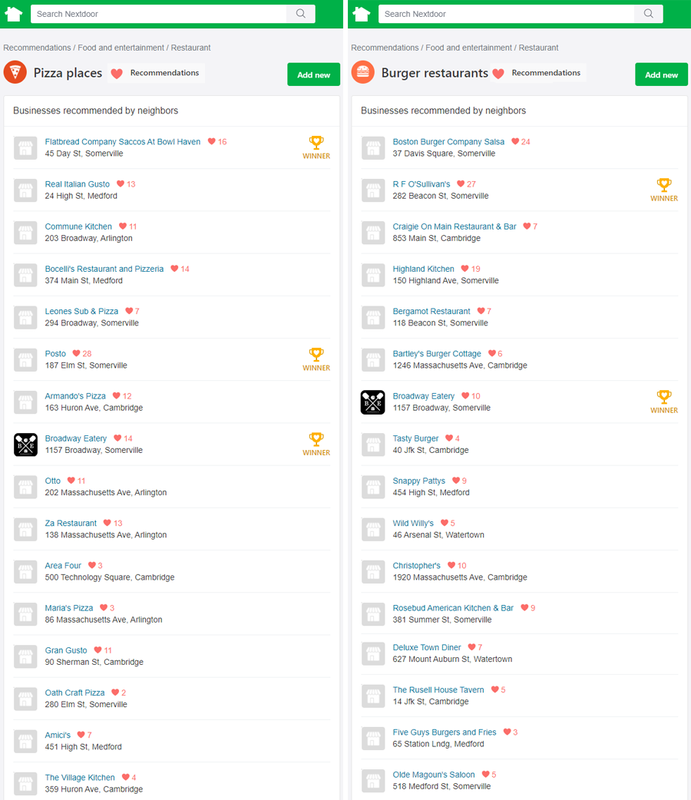 A user poll was held to rate the best 10 burger places in all of Boston and we made the list! Did you know we were rated the Best Roast Beef in Somerville by Scout Somerville? 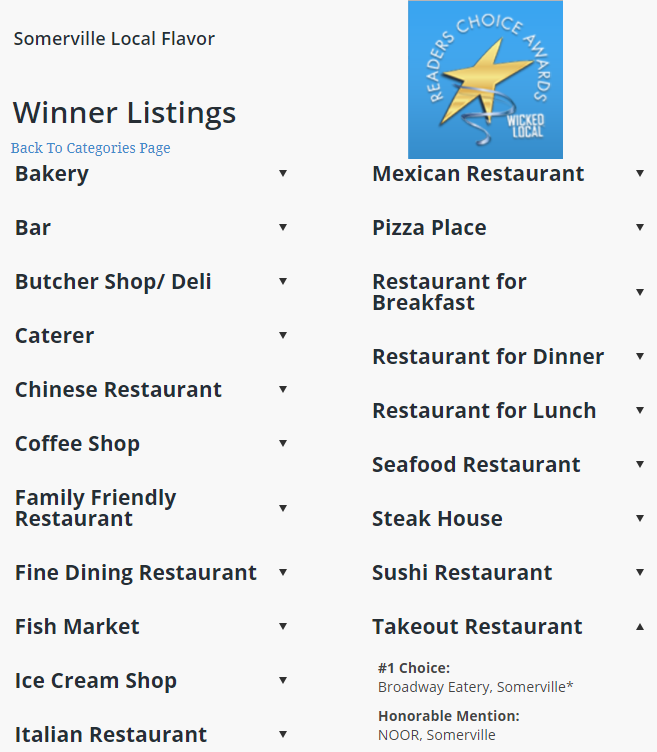 On a quest to find awesome North Shore style roast beef, Scout Somerville rated us the best in Somerville! Specials & discounts right in your inbox or mobile. © 2018 1157 Broadway, Inc.